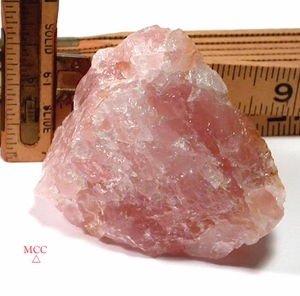 South Dakota gemmy standing rose quartz rough is tres pink with good cutting potential if you like, great self display if not - rainbows either way. Miniature size, 1-1/4x 2x 2-3/4". Sits or lays several different ways in case you'd like to view the iron oxide regrowing side or not.